Pullifts are just one of the many types of hoists that we have available here at Lifting Hoists Direct. As each hoist is slightly different to each other, it’s important that you’re aware of how to use each one properly. So, with that in mind, here we’ve laid out some do’s and don’ts when working with lever hoists. Always follow all of the necessary and recommended guidelines that you have been provided with. This will be both from ourselves or another supplier that you shop with, as well as general government guidelines such as the Lifting Operations and Lifting Equipment Regulations 1998 (LOLER). Although lever hoists are small and uncomplicated pieces of machinery, it is still important that you have a competent and experienced operator using the tool and overseeing the lifting tasks. A competent person must also complete the planning of any lifting operation. Make sure that the load you are lifting and lowering is attached properly and the weight is correctly centred in the middle. If it isn’t there can be unexpected and potentially dangerous swinging of heavy loads that could cause damage or harm to you or those around you. It’s important that the area surrounding your lifting operation is completely clear of any objects or potential hazards. This also falls under the category of using a competent person, and should be properly thought through during the planning of any operation. Lever hoists use metal steel chains as their lifting mediums. These chains are incredibly sturdy, well-built and thoroughly tested pieces of equipment, but each chain relies on the other to work. Should one chain break, the whole of the lifting chain is rendered useless. 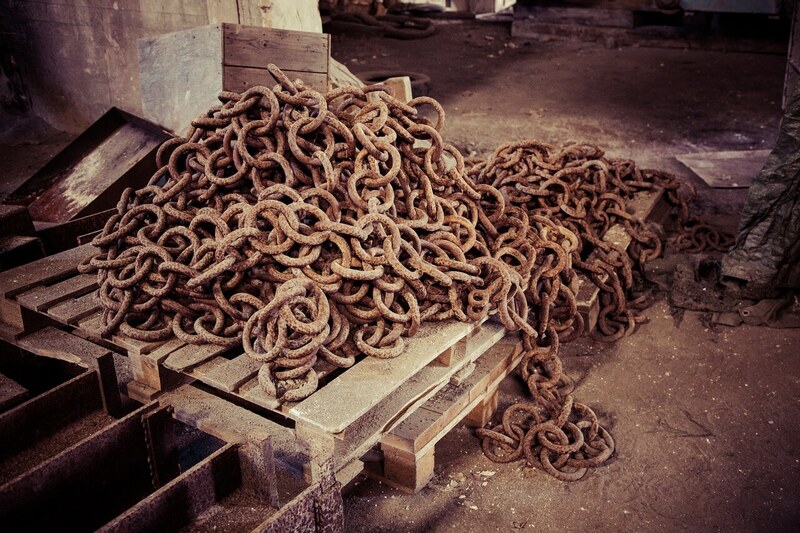 Don’t use damaged or rusty chains! It’s crucial that you inspect your chain regularly, and if it is damaged in any way, please do not use it. If you need help with hoist repairs, services or inspections, please visit our hoist services page. This also falls under the category of making sure that you follow the specified guidelines, but it is absolutely imperative that you don’t lift any loads that are heavier than the lifting capabilities of your lever hoist. Pullifts are manually operated, so not only could you cause strain or pain to your workers, but you also run the risk of breaking your equipment, damaging the load, and causing even further harm to your workers. Don’t get too many people involved! Don’t use your lever hoist to lift people, don’t use it to lift loads over people, and make sure that all people are clear of the lifting area! If you want to hear more on purchasing a lever hoist, or how to use one correctly, then we’re more than happy to impart our expert knowledge to you! Please find our contact details listed here.